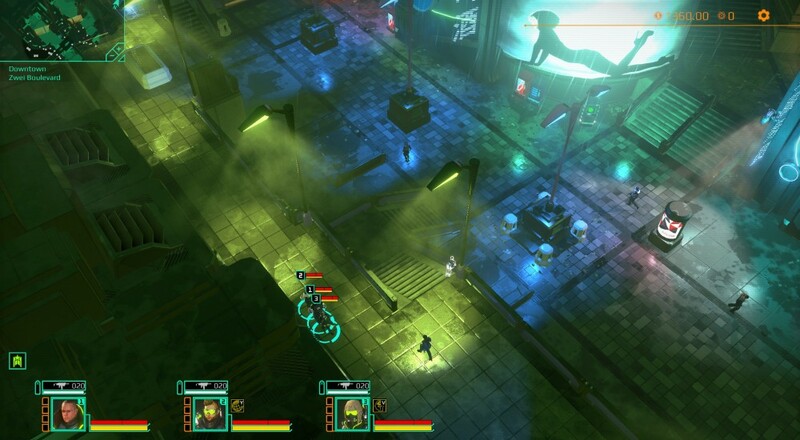 Last night we dove into Satellite Reign and it's co-op mode (developer interview here) While the co-op is in beta form right now, when it works, its works extremely well. It offers a satisfying experience of strategy, action, and careful execution. Usually all of that is proceeded by a lot of tom foolery and neon lights. These are things that make us happy to play Satellite Reign. Like we said, the game's co-op mode is in beta form. It's available on a special branch in Steam which anyone can try. It worked pretty well for us, but eventually we did find some network glitches causing some really interesting "quirks." We imagine it's just like being in the Matrix.